Israeli and Palestinian negotiators will meet this week in Jordan with international mediators, Jordanian officials announced Sunday, bringing the two rivals together for their first direct talks in more than a year. Jordanian Foreign Minister Nasser Judeh on Tuesday will host a meeting between the two sides’ negotiators and mediators from the so-called quartet — the United States, Russia, the United Nations and the European Union — Jordan’s Petra news agency reported, citing a Foreign Ministry spokesman. 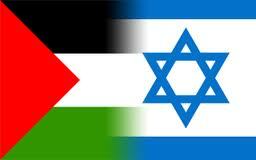 That session will be followed by another meeting between the Israelis and Palestinians. While not labeled formal negotiations, the talks are seen as a small step forward in a peace effort that has long been stymied.